But first have you all seen Valerie is back in blogland? The days we celebrate the birthday of our King. My decorations are done, I'm very happy with them, and have all kinds of plans what to make next year. But first enjoy this for a while. It will stay in place till the 5th of May. That's the day we celebrate to liberated from WWII. It's already 70 years ago since we where liberated. King Willem-Alexander and Queen Maxima. What do you think aren't they a beautifull couple?? I made them for a pattern from a book. Frau Antje is a Dutch character used in the advertising of cheese. I forgot to make a close-up of her, but maybe you can see, that she is holding a piece of Cheese underneath her arm. And the where's special dutch costume. I need to say, before I looked in this crochet book, I hou van Holland ( I love Holland) I didn't know about her, I googled her and on Wikipedia I came across some information about her. 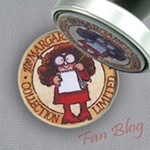 That fun about blogging, you come across new things and I love to know more about it. Next to my big white pots I put the one I shown in my last post, but this time completed with crochet tulips in them. 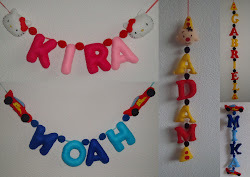 Kira likes them so much, so often I need to look for teh flowers, and I will find them back on her room, so I promissed her, that I will ame her in hetr favorite color..
She made them from hama beads, I made it in to a garland and hang in on my brench. I just went looking on my laptop and found this photo, here you can see the three better. You can see Frau Antje better too. The basic of all dolls are the same, is even the same als the ones from Xmas and Sinterklaas, only the details and colors are different. 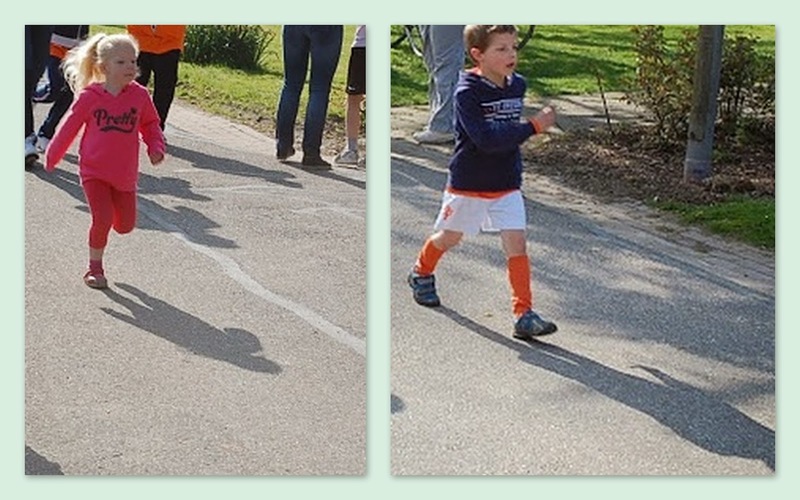 Today is the last day off school before two weeks of vacation, and as always in the whole country it's Kingsday-games. 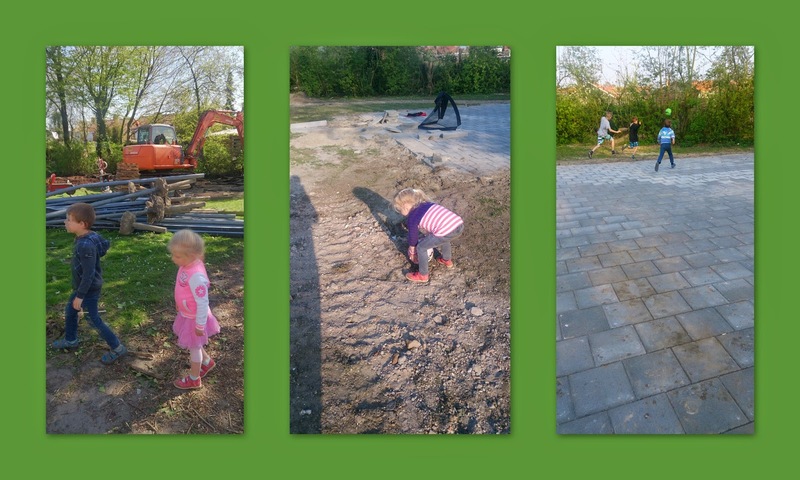 This year at school it was a bit different, as always they start with a Kingsday breakfast, then on the schoolyarn they song and dance the Kingsday 2015 song ( every there is a new one). I have photo's but so many other kids on them, I can tell you it was so fun to see. After that they organized a sponsored run with teh whole school. Hubby and me helped to stamp when kids came, it was so fun. I had no time making pictures of the kids, but a teacher made them. I need to cut the other kids, this one where a bit easy. 40 minutes of running rounds, it was so fun. Today we had a warm day in the afternoon it was 20 degrees, but in the morning still to cold. They where asked to where sport-clothing, and I gave them a sweater on it. Look at them running.. The 5th of May they organized a Kidsrun here, so they can do it again. ( pic's will follow). It's a bit the same as pancakes but also not.. LOL. You used almost the same for the batter ( beslag = NL) only the measurements are different. You eat them with butter and sugar... so yummy.. and in the recipe I found this time they written to bake pieces of apple in butter with cinnamon and sugar... mmmmmm yum yum. 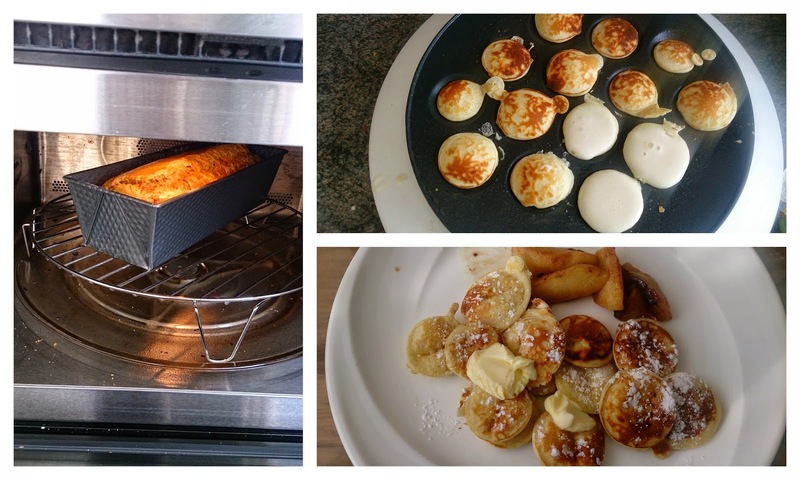 After finding a better spoon to put the batter on teh Poffertjes-pan I hope they will look better again. I have told you Noah was in the newspaper for teh new playground that we are getting across the street. Monday the started ( too early in the morning....) with the work. They where told to get it finished by today, I didn't watch today but yesterday it was almost finished. And playing football. we are getting a street-court on the right picture you can see the street part is done, only teh fence around it needs to come, but kids are already having so much fun. The work people are going to try to finish it totally before summer. The warm weather was also good so the garden could get greener..
Look at this tree.. it's getting there.. I see it's after midnight. I love the KIng and Queen, and beautiful Tulips , and all the decorations you have so much talent . Have fun with the children in the holidays such wonderful times hugs. O, ik heb zo zin in koningsdag. De sfeer vind ik geweldig. En ik hou van rommelmarkten. Hoop echt op mooi weer. Maxima en willem alexander zijn erg leuk gehaakt. Veel plezier met de twee weken meivakantie! Like Kira, my favourites are also the tulips :) they are so bright and lovely !! Wish you and your kids, a happy vacation!! I'm always so impressed with your creations, Annette--your attention to the little details is wonderful! Love the Kingsday decorations and teeny tulips. I can see why Kira wants them for herself :) And I'm honored to see my little seaside pillow included in your display! Enjoy your spring flowers and sunshine--everything is so green and lush! Things are greening up here, too--finally! Happy Sunday to you, my friend! King & Queen are simply tooo cute!!! What lovely crochet work... and the food, yum, looks delicious! Leuk al die decoraties voor koningsdag! Ik vergeet elke keer de familie neer te zetten..
Lekker bezig blijven want je maakt mooie dingen, erg leuk om te zien! !